COA’s Early Education Centers provide a safe and nurturing environment in which children ages six weeks to six years can learn and develop the skills for future academic and social success. Our educational philosophy is that children learn best when they are provided hands-on experiences. In each of our classrooms, the Early Education Centers provides content-rich, developmentally appropriate curriculum that supports children’s natural curiosity and interests while fostering critical thinking skills and healthy social-emotional development, and building the competencies they need to be successful learners. A family-centered programming approach is at the core of all COA programs. In the Early Education Centers, parents are encouraged to take a proactive role in programming and engage with staff through daily communication about developmental milestones, quarterly (bi-annual) conferences, parent training sessions, family gatherings, and more! COA accepts both Wisconsin Shares and private pay. Click here for more information on available positions and apply! COA opened the Burke early education center at our Goldin Center in 2015. This center serves over 100 children ages six weeks to six years old. COA is currently enrolling children for the Burke EEC. If you are interested in enrolling or have any questions, please click the button below. In the area below, please tell us more information about yourself, including the name(s) and age(s) of any child(ren) interested in enrolling in the Burke Early Education Center, and any other information you would like us to know before contacting you. The Riverwest Early Education Center serves children and families in Riverwest with an array of childcare services for children six weeks to six years old. COA is currently enrolling children for the Riverwest EEC. If you are interested in enrolling or have any questions, please click the button below. In the area below, please tell us more information about yourself, including the name(s) and age(s) of any child(ren) interested in enrolling in the Riverwest Early Education Center, and any other information you would like us to know before contacting you. The forms below are required to enroll. They are also included in the welcome packet that can be picked up in person. Any family is welcome to come and tour our facility at any time, we have an open door policy. Scholarships are available for those who qualify through COA’s Early Education Center. COA’s Riverwest Early Education Center is one of only a handful of childcare centers in urban Milwaukee to have been nationally accredited by the National Association for the Education of Young Children (NAEYC). In addition, it holds a Five-star YoungStar rating, the Department of Children and Family’s highest indicator of quality in education, learning environment, business practices and the health and well-being of children. COA’s Burke Early Education Center holds a Four-star Youngstar rating. COA’s Early Education Centers are Early Head Start facilities. 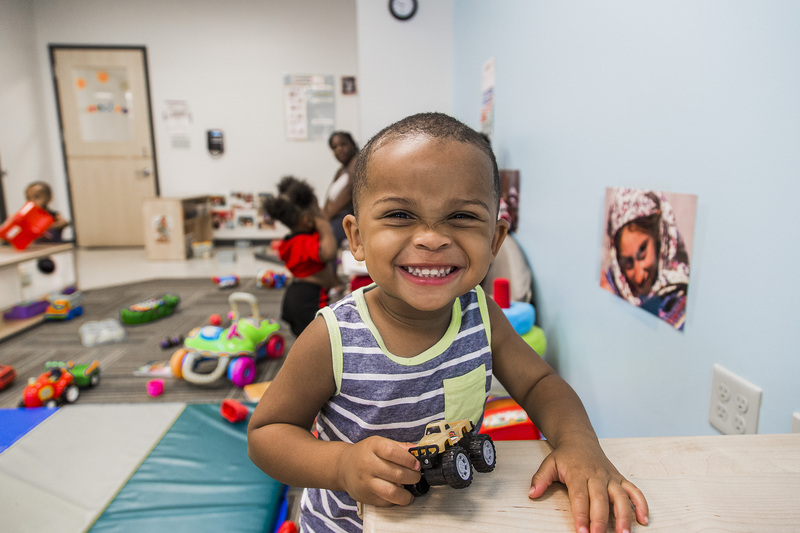 Early Head Start is designed to increase the number of low-income children from birth to three receiving high-quality, comprehensive early education services that help facilitate healthy development, including physical and social/emotional development, and prepare them for school success.